If you are just getting into real estate, need to make some extra money, a business you can do part time, then wholesaling houses is a great way for you to get into this very lucrative business. Wholesaling or also called ‘Assignments’ is nothing more than locating properties (usually needing repairs) at bargain prices and quickly passing them to investors/landlords at prices well below retail. The new investor/landlord purchases the property and fixes it up and either rents it or sells it. This business doesn’t require money or credit because you are not buying properties. You are simply putting a good deal under contract and then assigning that contract to the new investor or landlord that wants to buy it. With this arrangement, you would receive a fee for finding the property also called an assignment fee. You may be asking yourself why investors would pay you a fee for finding them wholesale houses? Well, think about it this way, there are a lot of doctors, lawyers, accountants that have a full-time job. They don’t have the time scouring neighborhoods to find deals. This is where you come into the picture. I started my career with wholesaling houses because it seemed to be the easiest real estate strategy to learn and it didn’t require me to put down large down payments. Once I learned that you didn’t have to purchase properties before you could sell them, I was excited. You aren’t even selling property, you are simply selling the contract you have with the seller. This is why wholesaling houses is called, “No Money Down”. 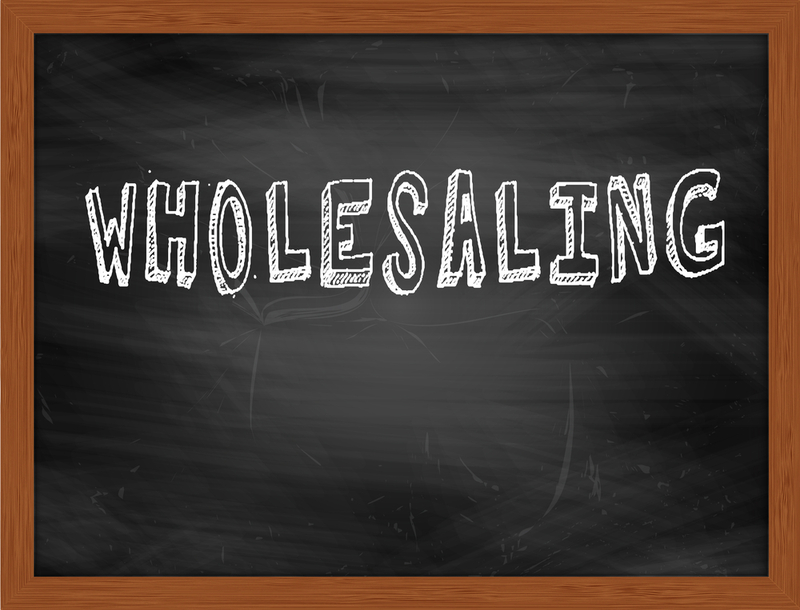 So, if you are looking for a way to make some extra money, a business that’s easy to learn and execute, then wholesaling houses is a great way to get into real estate.